It’s a fact, if you are similar to the majority of business owners, you’ve had experiences with a number of marketers promising results with Omaha SEO services or Web Design and other forms of online services. They promise the world but ultimately do not deliver. We are glad you are here so you can finally get the help you need to grow your business! The reason you have experienced these issues is that one-off services like Web Design and SEO are just a part of what is needed to succeed with your digital presence in the current state of the internet. How so? Read below for the details. It wasn’t long ago that you could create a website with simple messaging that you created and then have the website generate sales for you immediately. Those days are gone. The internet has matured over the last number of years. With competitors adding over 14,000 websites a day to the internet, the digital environment has matured to the point where a “here I am, buy from me” strategy will no longer get you sales. To have success, you have to stand out as unique, different, and a superior choice. It is necessary to have a superior and irresistible offer. Your prospects are pouring over the offers from all your competitors. When they find the best offer, they pull the trigger and then you’ve lost them for good. You also need, among other things the right targeted traffic to your website. In addition to that, today It takes an average of 8 – 13 interactions with your online presence to get a new prospect to purchase (online marketing institute). A lead nurturing system is required for you to stay in front of your prospective buyers during their buying process in order to get the sale. These elements and more are part of the Omaha SEO services digital marketing strategy that is necessary for the success of your business. What Makes The Omaha SEO Services System So Unique? Being honest… it’s the skill level from the professionals who are behind it at Omaha SEO services! Hi, I’m Phil Belleville, the owner of Omaha SEO services. I started my first online business back in 1996 before Google existed. Over the years, the internet has really changed. A successful online presence used to consist of simply putting up a website. When I started my first business that is exactly what I did. I put up a website for web hosting and ended being #1 in AOL search engine (the biggest at the time) for the term web hosting. I have trained with the biggest names in the digital environment over the years to stay on top of the game. In recent years, I have combined my business, digital promotion, SEO and sales experience, and set out to develop a strategy that would compete in today’s business environment. I have also developed a team to support the process. The result is our Digital Activation System. After years of developing, implementing and testing different online promotion systems with the help from the best mentors online and the highly skilled team at Omaha SEO services, I’ve been able to create a completely unique strategy. It’s called the Digital Activation Marketing System. The system has been allowing businesses to expand from 6 to 7 figures in less than a year. Take a look for yourself… These digital strategies from Omaha SEO are made up unique components that are designed to work in combination to allow you to scale effectively by generating more high-quality sales. At Omaha SEO services, we understand that successful SEO requires more than just a few changes to your website content and incoming links. The first requirement of an effective SEO strategy is a sales strategy that is unique and effective. It is necessary to engineer a superior and irresistible offer that will convert prospects into customers. When prospective clients, during the course of their buying decision, compare your competition’s offer vs your own, they need to come away with the opinion that your offer is a clear buying choice. The sales thesis that you present in your marketing materials has to be engineered and then utilized as the core message for all of your sales efforts. For this reason, the very first step in our Omaha SEO services strategy is to develop the core messaging for the business. Once your messaging has been engineered, this will make it possible for you to drive targeted traffic to your irresistible offer and start to convert prospects into sales on a consistent basis. Your website needs to not only be capable of presenting your marketing thesis effectively but also using SEO and other digital strategies to generate traffic from the various places that your prospects hang out online and also to convert that traffic (people that have never seen your company before) into customers and revenue. It also needs optimization for viewing on mobile devices, to appear prominently in search engines and other important online locations. Your website must contain the elements of a digital sales strategy that can attract targeted prospects, stay in front of them during their buyer’s journey and ultimately turn them into paid clients. The Digital Activation System from Omaha SEO services is that system. One broken link in the process, and it throws everything off and the business will suffer. Get it right by implementing the Omaha SEO services strategy into your sales strategy and this is when you will start to build a robust business! If no targeted prospects see your website, then the business will be dead in the water. Organic search traffic is among the best sources of traffic for your website. The process of ranking your website on Google is called search engine optimization (SEO). When you have a problem to solve where do you go to find a company that can provide a solution? Google right? It’s a no-brainer. SEO is a conduit between you and your potential customer. This allows you to get your perfectly arranged marketing system in front of these targeted prospects from organic search and a good percentage will make the decision to buy from you. Now, your competitors know the value of organic search traffic as well, so ranking for these search terms that will bring you targeted search traffic will be very competitive. And it’s a fact that 61.5% of all search traffic comes from the top 3 organic search rankings on the first page of Google. You need ranking at the top of the page to win the SEO battle for this traffic. You need to have your website properly optimized along with a powerful SEO strategy in order to beat the competition and grab these top spots that will secure you the targeted traffic you will need. The team at Omaha SEO services will provide you with these results. Engineering a flow of highly targeted traffic and a website that will convert targeted prospects is the beginning of success. On average, it takes a person 8 to13 touches between a targeted prospect and your business to deliver a qualified lead to you (online marketing institute). That’s right, the path for a targeted prospect from the first touch with your website to purchase is not a simple, straight line. Rather it is a complex and varied series of investigation and other touch points. You will need to stay engaged with your prospects during the process of their buying decision in order to get the sale. 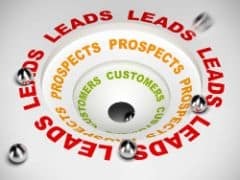 The way that you get the most out of your traffic, and maximize your sales is to have a lead nurturing system that keeps your offer visible to your prospects. This means that when someone visits your website for the first time, and for each subsequent visit, you will need to capture their identity and use further online marketing tactics create the remaining 8-13 touches that will be required to deliver the prospect to you as a qualified lead and pull the trigger on the purchase. The team at Omaha SEO services provides you with these types of lead nurturing systems. Although SEO is highly valuable, it cannot be turned on and off instantly. It takes a period of time to develop your rankings. Paid ads, on the other hand, are almost instant. This means that with paid traffic, you have the ability to generate targeted website visitors on demand. And since the Omaha SEO services marketing system will have turned your website into a conversion machine, sending targeted traffic from Facebook ads, Google AdWords or some other form of paid traffic to your website is a great way to generate additional sales. And if you want to scale your business, you can increase your ads budget and generate more traffic, prospects, and revenue. Also, if you get too busy, all you have to do is decrease your ad spend and it will immediately bring the number of incoming clients down to a manageable level. Developing and optimizing profitable ads is an ongoing process, This is another vital aspect of success that is included when you work with Omaha SEO services. Another important pool of traffic is Social Media Marketing, Why?, Because Facebook has more than 2 billion daily active users. In addition, 83% of Women and 75% of men use Facebook. LinkedIn is important with its 260 million monthly active users, and they all are business professionals. 40 million of whom are decision-makers in the buying process (LinkedIn). Instagram has 800 million monthly active users. For niches that are visually oriented, Instagram is an important pool of traffic. And 81% of millennials check Twitter at least once per day. These facts demonstrate why utilizing a strong Social Media strategy on the platforms that your prospects hang out on, is an important part of our Digital Activation System. A further vital reason that social media is part of the Omaha SEO services marketing system is that it helps you stay in front of your prospects during the buying process. It helps to get your business the 8-13 touches you need to turn prospects into leads. 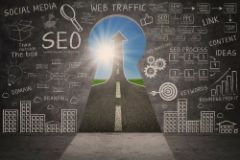 The more people that see your offer in this large pool of traffic, the better growth your business will obtain as long as it has the carefully engineered offer and the other elements we have discusses as part of the marketing strategy that Omaha SEO services have engineered for your company. There is a reason that 87% of online marketers use video content. Video is projected to claim more than 79% of all web traffic by 2020 (Forbes and others). These statistics explain why video is another key element of our Omaha SEO services marketing systems. Video also helps you establish a vital relationship with your audience. In many cases, video can also be ranked by the search engines and used to attract more targeted prospects from Google, YouTube, and other video marketing channels. Getting your message in front of your perfect prospect is what our marketing system does. 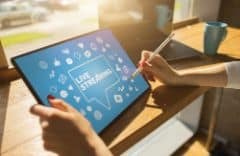 Since the average user spends 88% more time on a website with video (wordstream), Video SEO is clearly a vital aspect of the Omaha SEO services digital strategy. As important it is to have a great online strategy. it is equally important to be able to track your results. Why? Because in order to maximize your online business success, you need to know what marketing channels (ie. SEO, SEM, PPC) are successful, and which need adjustment. The ability to collect, aggregate and calculate this data allows you to gain the correct type of insight. 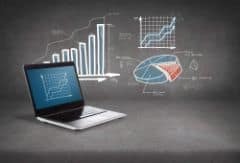 Simply put, once you know which marketing efforts are working and which needs improvement based on your website analytics, it becomes much easier to make the needed improvements. 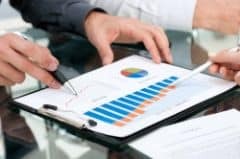 In addition, it is vital to know your numbers (what it is costing you to acquire a new customer with each type of marketing effort). This aspect of the Omaha SEO services marketing system will allow you to make cost-effective decisions and avoid making mistakes that will cost you money. We started with a Digital Activation Audit. This is the process of breaking down their niche and competition and then using that data to engineer the marketing system that it would take to create success for the client. At the time their website was seeing about 550 organic visitors per month. 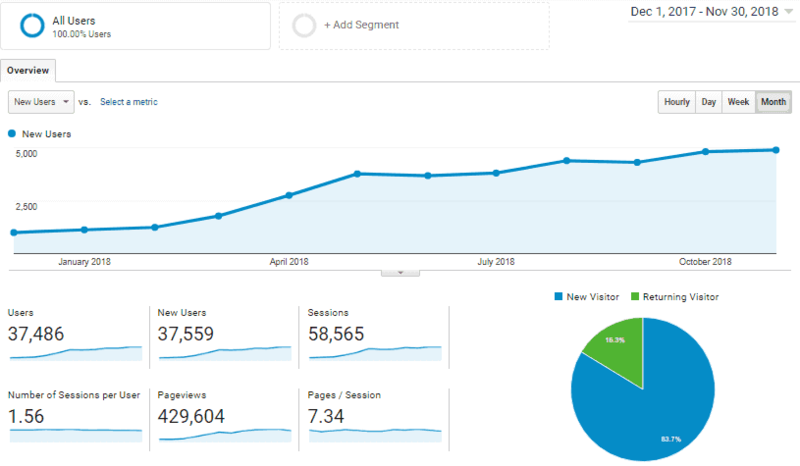 Within 4 months, our team was able to increase their traffic to 1,348 organic monthly visitors. And Today They Are 10X. Today their website is receiving around 5,000 visitors a month (as you can see from the second image on the right) and is a 7 figure business. Great service and super easy to deal with. Showing results within a month! Have been of great help to us in web design, online marketing, and SEO work. Communication has been excellent and they have been proactive and extremely effective at pinpointing exactly what needs improvement with our online presence. Great experience so far! Next level stuff!